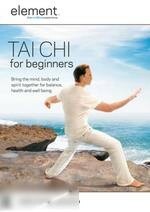 Synopsis: Bring the mind, body and spirit together for balance, health and well being Tai Chi For Beginners features an energising Qi Gong practice, plus Tai Chi postures, powerful sequence to clear your mind, enhance flexibility and promote wellness. About the instructor: Samuel Barnes, founder of Tai Chi Works studio in Beverly Hills, is a master teacher with over 20 years of Tai Chi Chuan teaching experience. Samuel's instruction easily and gracefully infuses the principles of Tai Chi into students' lifestyle allowing them to immediately experience the rejuvenating benefits of this peaceful art.